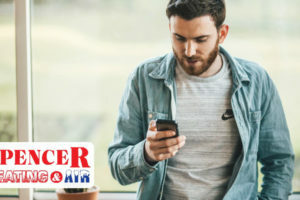 If you are in the market to replace and/ or upgrade your home’s heating and cooling system, you may be looking for a new model that is more energy efficient than your current system. Fortunately, there is good news when it comes to HVAC energy efficiency. There are numerous models available that comply with established industry guidelines, as well as additional options that exceed energy efficiency minimum requirements. With a closer review of the different options available, you will be able to make an informed decision about which system is the perfect fit for your family’s unique needs. The SEER rating, or Seasonal Energy Efficiency Ratio, is one of the easiest ways for you to determine the efficiency of a particular system. I past years, the minimum requirement in the United States was 8 SEER, but this has recently increased to 14 SEER. SEER ratings typically range from 14 to 21. The higher the SEER rating, the more efficient the system is. Let’s compare the operation costs between different SEER ratings. A model with a 6 SEER rating will cost you over $1,000 in annual operating expenses. 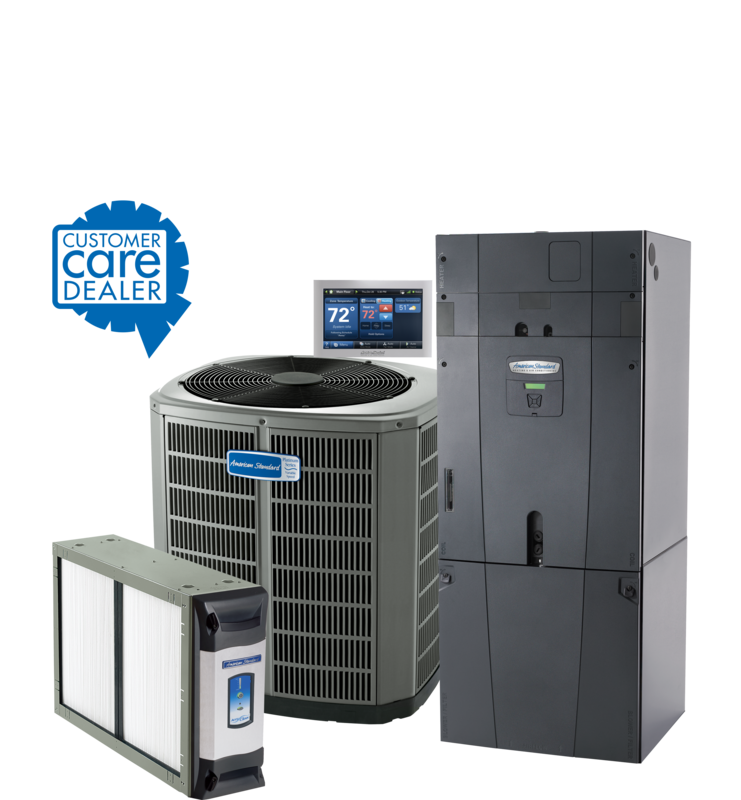 An American Standard System with an 18 SEER rating, on the other hand, will cost about $333 in annual operating costs. This particular upgrade example to a more efficient system adds up to 67 percent in savings for annual energy expenses. You will find many new units with a SEER rating between 14 and 17, and some units have a SEER rating of 21 or higher. In most cases, the higher the SEER rating, the higher the upfront cost of the system. However, your investment will pay for itself in lower energy costs throughout the year. You will need to decide what your initial budget is for purchasing your system, and you will need to decide if you prefer to save money now on a less efficient system or save in the long run through lower energy costs. Keep in mind that other factors will affect a system’s energy efficiency as well. For example, you will notice that each unit has a BTU rating. BTU Ratings relate to how powerful the air conditioning unit is, which tells you how large or small of a space it was designed to heat or cool. When you purchase a unit, use a BTU chart to ensure that you are buying a unit that has suitable power capabilities for your specific space to ensure maximum energy efficiency. 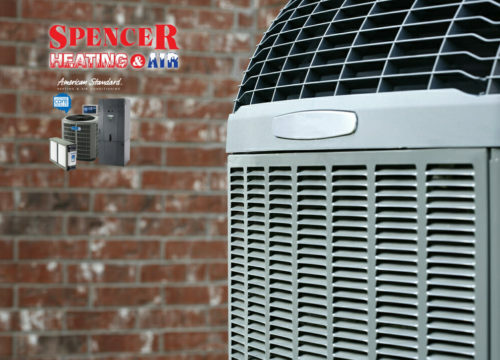 Spencer Heating and Air are experts when it comes to energy efficiency. 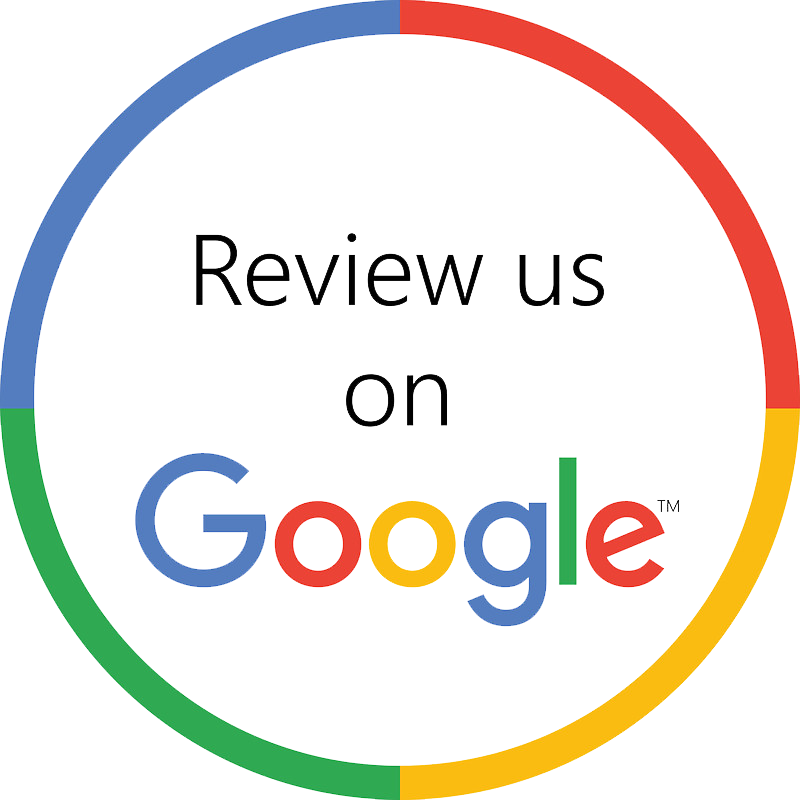 If you are on the market for a new HVAC system or want to learn more about energy efficiency ratings, contact us today. Our team of technicians and professionals are always ready to answer any heating or cooling questions you may have. 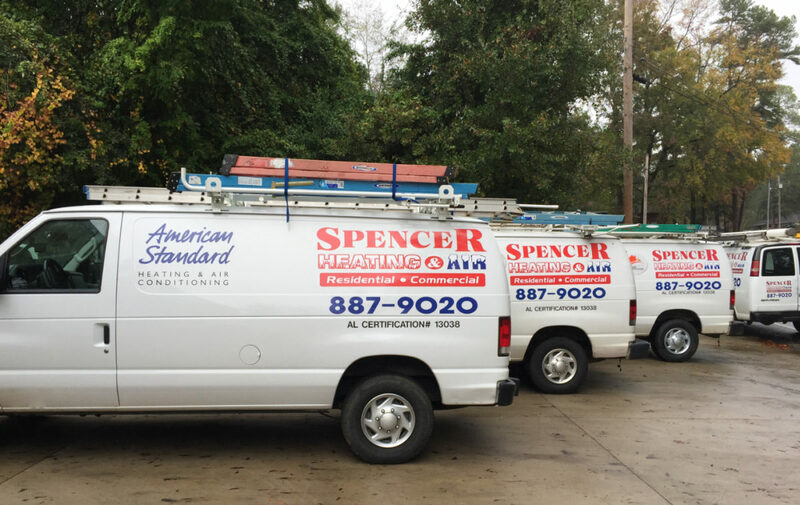 Call us at 334-887-9020, or email us at info@spencerheatingandair.com to get started today.